dB Live Sound recently purchased dB Technologies Ready4 Active Loudspeakers for speech and music playback. These lightweight and compact speakers can be mains powered or provide up to 6 hours on internal battery. 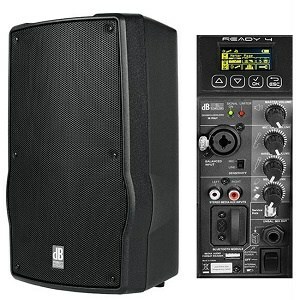 These are ideal for wedding speeches, small corporate events and perfect for outdoor parties where power can sometimes be difficult to run to the area needed. Easy to connect music players via Bluetooth. Inputs for microphone, instrument or CD player, Bluetooth for iPod/phone.